Nature provides amazing and powerful medicinal substances derived from the land, such as Essential Oils (e.g., Frankincense), Herbs (e.g., Oregano), Alkaline Foods (e.g., Green Pepper), Bacteria (e.g., Lactic Acid Bacteria), Plants (e.g., Wheat Grass), and Spices (e.g., Turmeric). Nature also provides amazing and powerful medicinal substances derived from the sea, such as unrefined Sea Salt, Mineral Mud, Alkaline Water, Bicarbonates, Essential Fatty Acids (e.g., Omega 3), Essential Minerals (e.g., Calcium Carbonate and Magnesium Chloride), a volcanic mineral named Zeolite, and even Venom from certain marine animals. We provide most of these aforementioned medicinal substances, and consider them to be some the best in the marketplace. 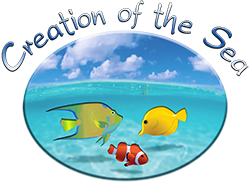 What better way to connect more with Nature, or the Sea, than by both viewing a beautifully vibrant saltwater aquarium display and using natural medicinal substances derived from the ocean! Viewing animals and their environment in a Creation of the Sea aquarium is essentially therapeutic…and consuming, inhaling or topically applying our ocean-derived medicine is essentially healing. 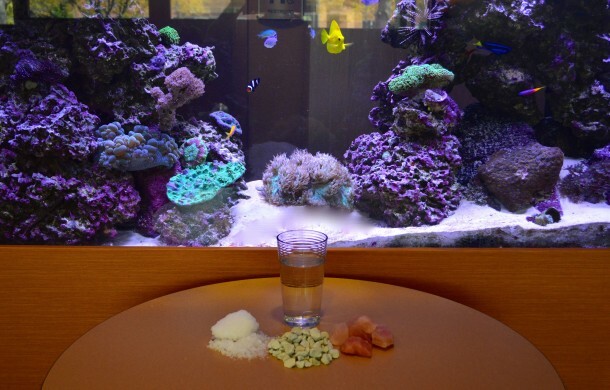 Together, our saltwater aquariums and natural medicinal substances can help you attain better health and vitality! Please contact us or go to our Medicine web page and/or Benefits web page to learn more! We look forward to hearing from you!